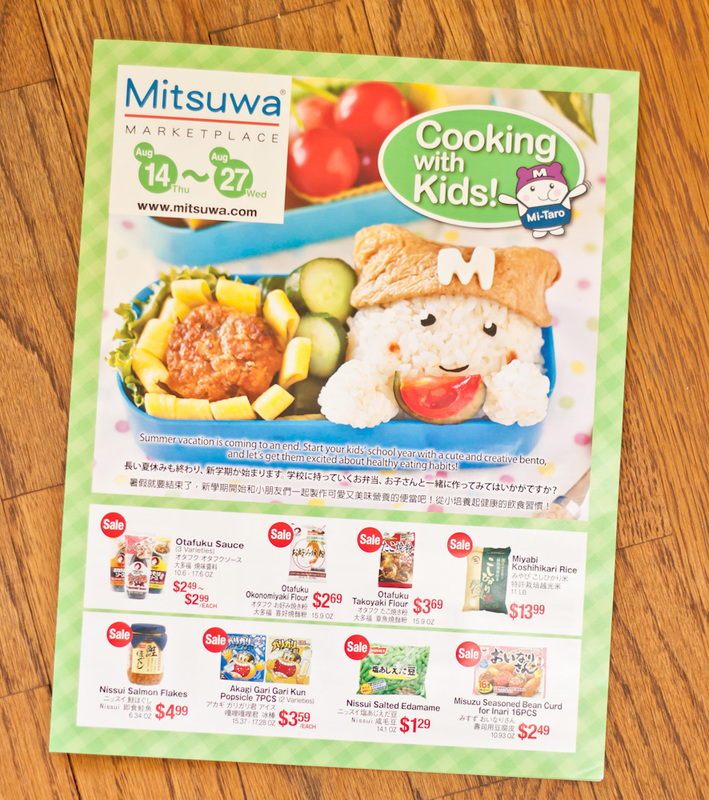 I made a summer bento for a Mitsuwa market ad! Inari sushi. This cute character is called "Mi-Taro", their new mascot! I just realized that......I forgot to add seed on the "watermelon"..... Oh well. It still looks like watermelon, right? 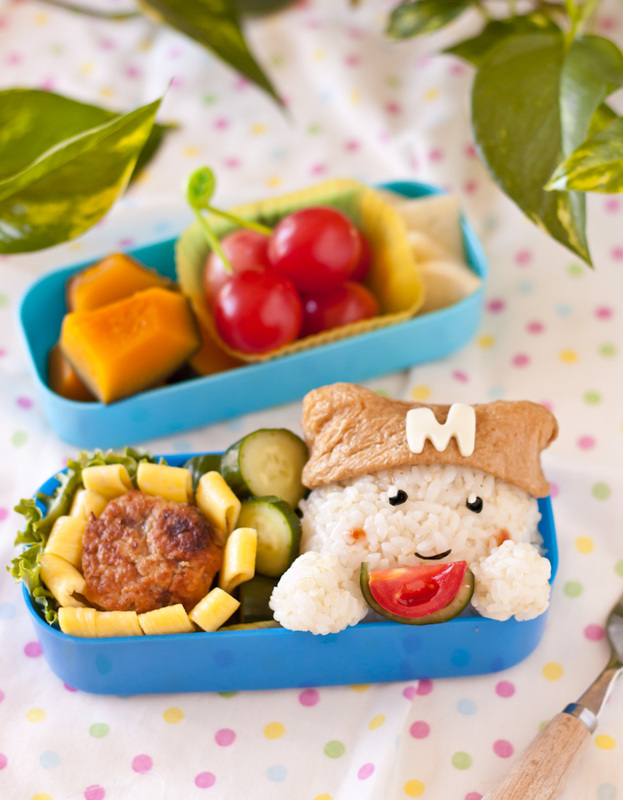 Please see "Rillakuma Inari Sushi Bento" for inari recipe. I put a little rice in the edges of inari to make his ears. I forgot to take process pitures for Hamburg steak sunflower, but it's on my book. Or I will remember to take pics next time I make it!